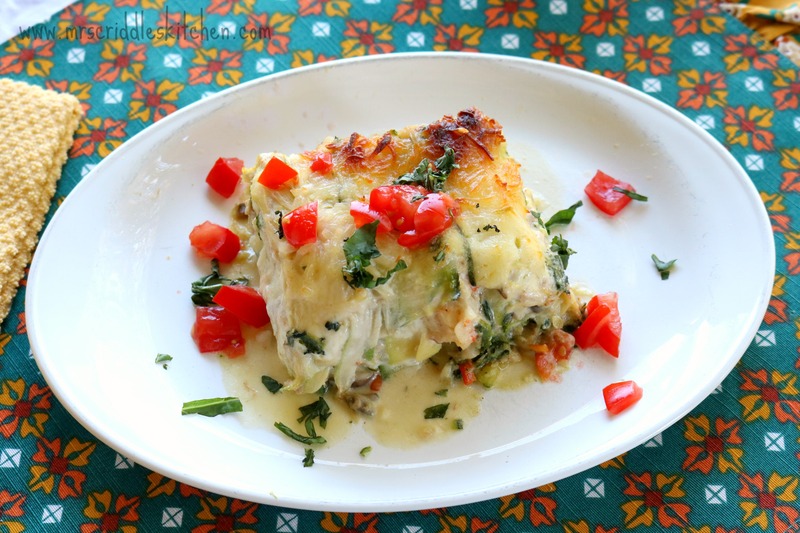 Yes, you heard that right, Seafood Lasagna. 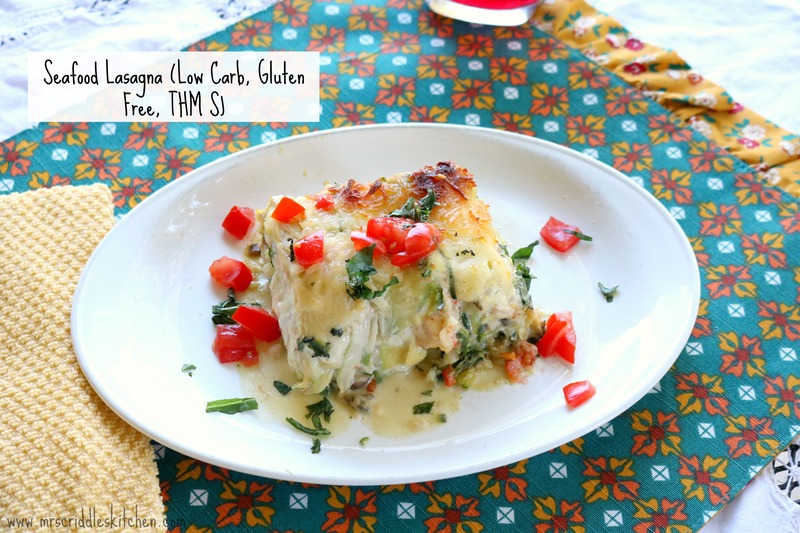 I had a lovely friend challenge me to make a Seafood Lasagna. I mentioned that to my husband and he was ALL FOR IT! We grew up in the south on the coast of Texas (near Galveston) so seafood is a staple down here. And in the south we eat cheese with our seafood. Yes, so if you don’t like cheese with your seafood, then this isn’t the recipe for you. I do want to give you fair warning… this is an intermediate meal. Meaning, its not an easy throw together meal. But for a special occasion or for company, THIS is amazing. When I was putting this together I was just praying and hoping it would turn out. One because it took me a while (mainly because my mandoline food slicer broke and I had to do all the zucchini by hand with a cheese slicer…) and two because it wasn’t a cheap dish. BUT IT TURNED OUT AMAZING!!! I’m VERY pleased with this dish. My husband was VERY pleasantly SURPRISED at how good it was. Even my teen daughter was extremely happy with it’s deliciousness! ****Now something REALLY important to this dish is getting out the excess water. Which is one of the reasons it did take a little while. So after you have sliced the zucchini long ways, you want to lightly salt it, place it in a strainer over a bowl with a dish towel over it and then something a little heavy on top. Also remove any extra liquid from the cooked veggies and cooked seafood. Also, you can use all shrimp or a combo of shrimp and crab or shrimp and scallops or crawfish. Whatever you want. I used shrimp, crab and scallops. Please follow the instructions completely. Hope you enjoy this yumminess! It is a THM S and low carb. 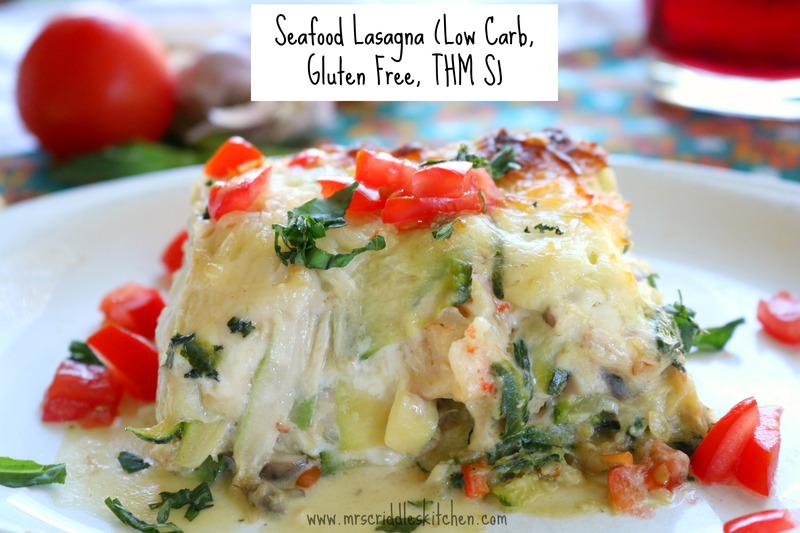 This is a southern Seafood Lasagna. 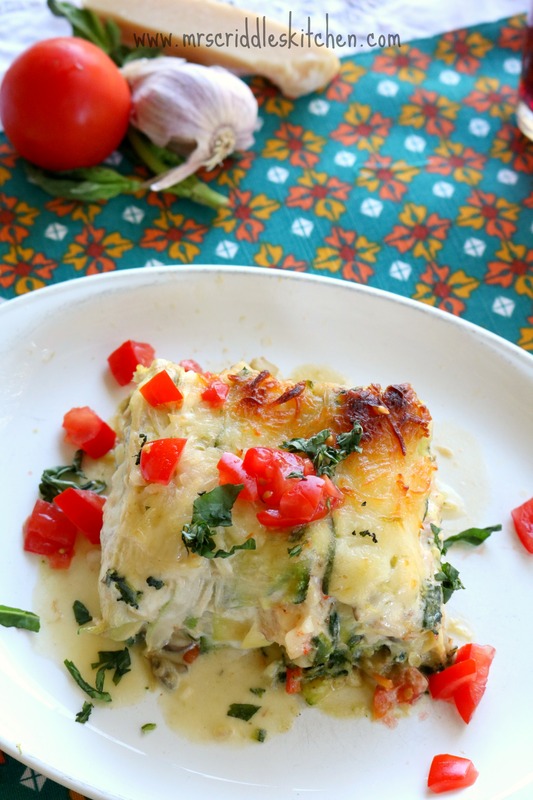 A yummy cheesy dish full of seafood for any special occasion. 8 oz of cooked crab meat. Clean and deveined the shrimp or crawfish. Strain all the water out and place on napkins to remove water. Slice zucchini into long noodle length. Lightly sprinkle zucchini with salt. Place in a strainer in a big bowl. Place a dish towel on top with a couple of canned goods on top. This will allow the excess water to drain out. Next place the onion, garlic, bell pepper, and mushrooms in a heated medium dish with the butter. Add in fresh baby spinach and cook until wilted. Once cooked remove and drain off any excess water. In a skillet add the 2-4 tbsps. of butter on medium heat. Add your shrimp and crawfish. If you are doing scallops cook on higher heat for two minutes. Allow the scallops to rest before chopping. Add all cooked seafood to the veggie mixture. Add in the chopped fresh basil leaves. In a medium sauce pan place 1/2 cup of butter, 1 cup of heavy whip, 1 package of 8 oz cream cheese. Melt on medium heat until all is combined. Add the parmesan cheese and mix well. Butter a 9X12 glass dish. Remove the zucchini noodles from the strainer. Please on a dish towel and press each “section” gently before you layer, to help remove extra water. Place a big scoop of seafood mixture at the bottom of lasagna pan. Pour a big scoop of alfredo sauce over the top. Once all ingredients are used sprinkle the mozzarella on top. Allow to sit for at least 5 minutes. Sprinkle with fresh basil and fresh chopped tomatoes and even chopped green onions. *** Remove all excess water or the dish will be overly watery.